Learn basic taiko drumming with Northwest Taiko. limited to 12 students, register here. 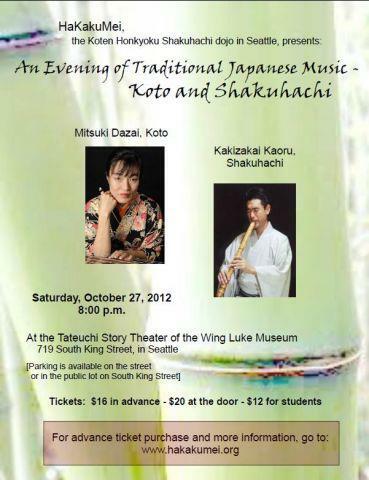 Traditional music by Mitsuki Dazai (koto) and Kakizakai Kaoru (shakuhachi). 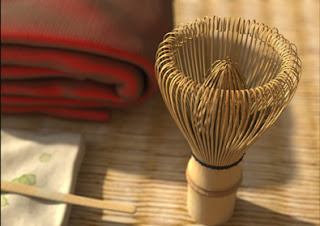 Instructors Aiko Fujii and Ritsuko Kawahara will teach about basics of Urasenke tea ceremony. limited to 10 students, register here. Two stages of cultural entertainment, international bazaar, and exhibits. You can see a full schedule of performances here. 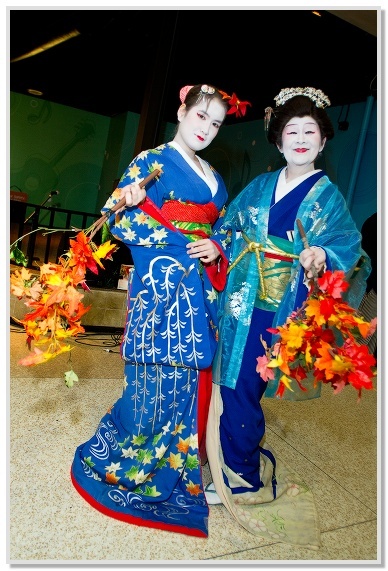 Performance of note: Japanese dance and shamisen music will be performed by the Kabuki Academy, Saturday, November 3rd on the Dance Stage at 12:45 - 1:30pm. 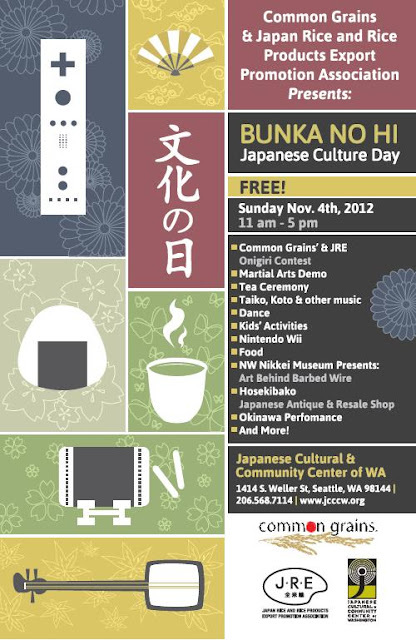 Food includes rice curry, udon noodles, sushi, pie, mochi, and more. You may order food there, or schedule a pre-order pick up by email. Menu and pre-order instructions here. Crafts include sumi'e paintings, pottery, handicrafts, Japanese theme rummage sale, bake sale, and fresh vegetables. Free. See link above for menu item prices. Shichi-go-san, an important ceremony/festival for children, boys 3 and 5 years old, and girls 3 and 7 years old! 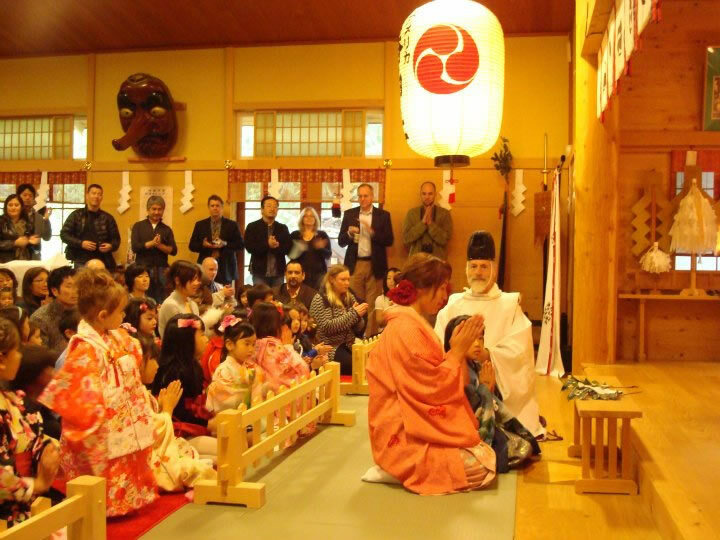 Children wear there best cloths or kimono and go to the shrine to pray with their parents for a long happy life. Kids will recieve a omamori charm, and chitose-ame long-life candy. Shichi-go-san is on November 15th, but it is observed on the nearest weekend, November 11th this year. 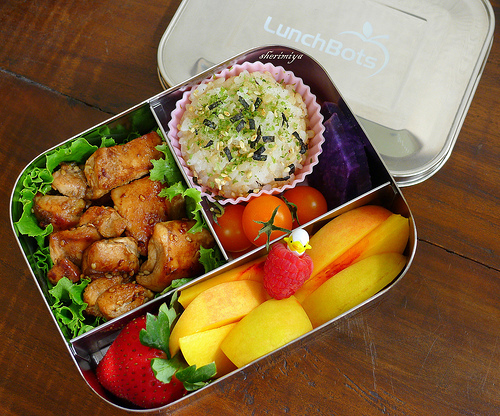 Learn how to make cute bento box lunches. Ingredients and bento boxes included in registration fee. limited to 20 students, register here. 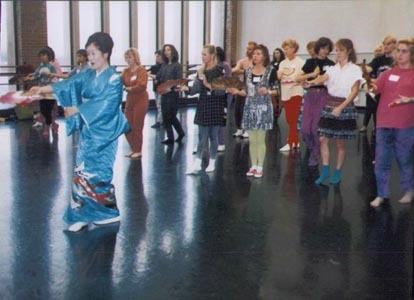 Mary Ohno of the Kabuki Academy will be teaching a workshop on minyo dance, folk dancing such as that done at Bon Odori. limited to 25 students, register here.